Integy Titanium Link Set For The TRX-4 « Big Squid RC – RC Car and Truck News, Reviews, Videos, and More! 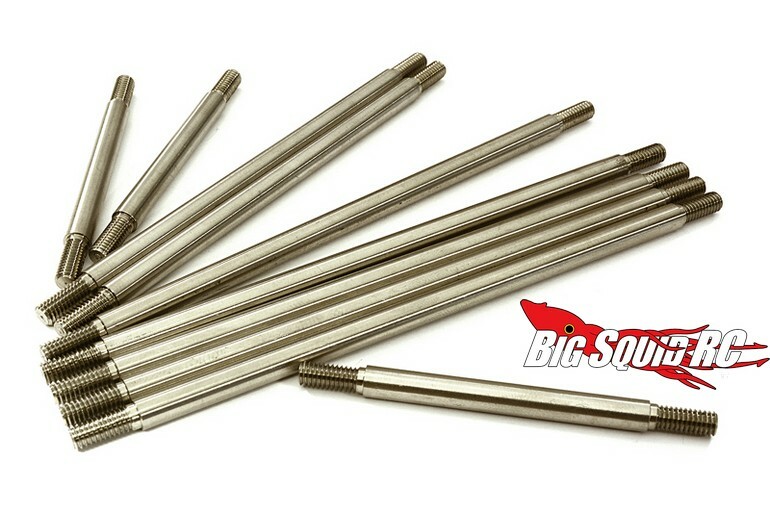 For all you Traxxas TRX-4 owners, Integy has announced a Titanium Link Set. The titanium links are not only lighter, but also stronger than the stock units, thus giving your rig a boost in durability and performance. The Integy set includes links for the steering, a panhard link, as well as upper and lower suspension links. The part number for the set is #C27940, street pricing is $69, and full details await you After The Jump over to Integy’s website. Hit up This Link to read more Integy news on BigSquidRC.